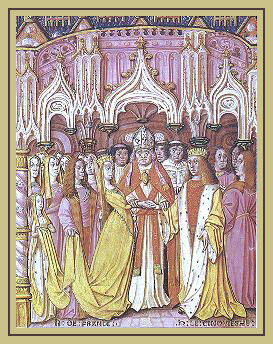 Elizabethan Era marriages normally took place through the help of a miniature picture given by the man. The picture is a symbolism of the traits and looks of the girl he wishes to marry. Women were regarded as second class citizens and they were expected to tie the knot despite of their social standings. Single women were regarded as witches. With parent’s consent, a boy and a girl were allowed to marry at the age of 14 and 12 although it was not common for marriage to take place on such a young age. Boy would often not marry until they reached the age of consent, 21. Even today these marriage ceremonies are considered to have a religious intonation. The ceremony would vary but the prerequisites before the matrimony was always the same. It commenced with the Crying the Banns in where the intention of the couples to marry was made into public. It will be announced into three consecutive Sundays or Holy days thus when there were any objection, at least such party was given the time to speak out. Wedding invitations were not provided. Their tradition is to celebrate the occasion with a blast thus the event is carefully planned beforehand. The menu comprise of exotic dishes like peacock. There is no sign of any divorces during the Elizabethan times. Since women were considered to be inferior during these times this could be considered to be a terrible thing. However, the process worked pretty well since men were persecuted that would abuse their wives. During this period literature was at its peak with love and romance contributing to it to a very large extent. The influence has brought and gifted us with the best pieces of literatures with great maestros like Shakespeare, Milton, Lyly, Plato and many more as this was the time when literature was at its peak and this era was rich with such priceless work pieces. Even today, people enjoy watching “Romeo and Juliet” or “Julius Caesar” with the same passion like any other play in today’s world .People acknowledge these plays and like watching these plays because of its tradition and richness of drama in these theatre performances and that is the sole reason it stands out of the box among many other plays that people admire watching.